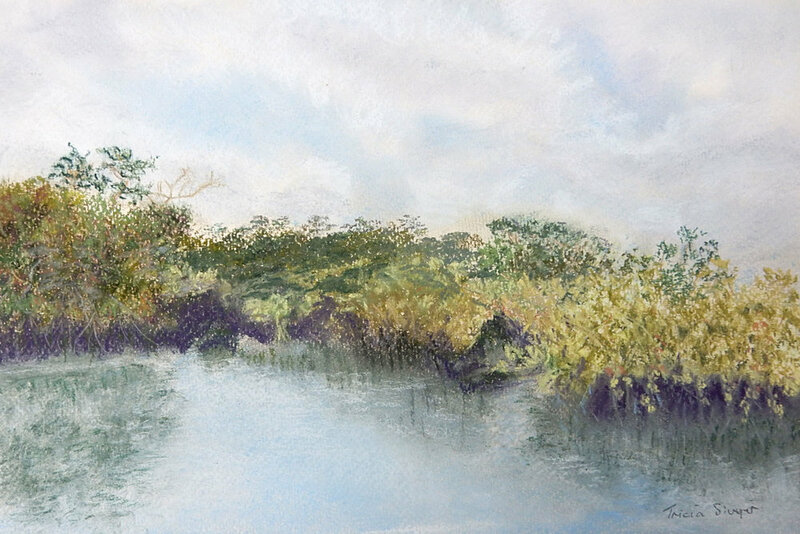 Pastels are a lovely medium to work in - they span both drawing and painting. In this six-week course you will be introduced to the different sorts of pastels available on the market and the variety of papers or grounds to choose from. There will be demonstrations on the techniques needed for both oil pastels and soft pastels, how to successfully build a pastel painting, loads of tips and tricks that will help you in other areas of your artwork and help with how to protect and frame your work at the end. Suitable for those just taking up art and also experienced artists wishing to try a different medium. Bring along any pictures that inspire you and Kate will help you create your own masterpieces. Includes colour handouts for future reference, paper swatches, tea, coffee and cake every week! NEXT COURSE: Please contact Kate if you are interested in this course and would like to book a place on the next one. Week 6 - Finishing off, fixing and framing. A board or table easel to rest on; graphite drawing pencils; eraser; any hard or soft pastels, pastel pencils or oil pastels you may have plus any pastel paper. In the first week we will cover all you might need on the course, small paper samples will be provided and pastels for you to try before you buy. Bring pictures for inspiration. You may also need masking tape, cotton buds, paperstumps, craft knife or pencil sharpener, razor blade, putty rubber or electric rubber and stencil, sandpaper, stiff paintbrush, tracing paper, pins, cotton wool pads.